Made the app faster and more stable! 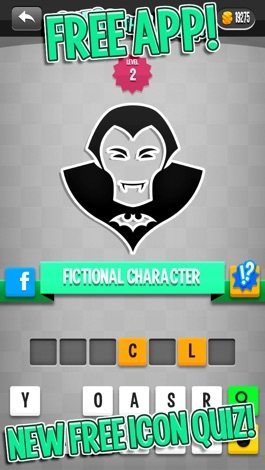 » Guess That Icon: one symbol, one word, one answer! Guess That Icon is a guessing game that tricks the eye and the mind! 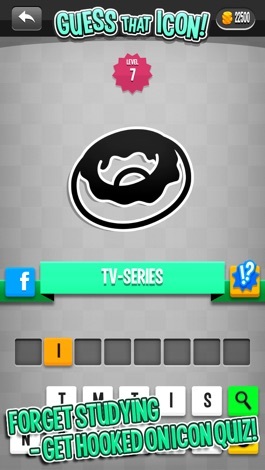 In Guess That Icon, you’re given a word, an icon, and twelve scrambled letters... Can you guess what movie, tv-series or fictional character we are looking for? Think you’re clever? 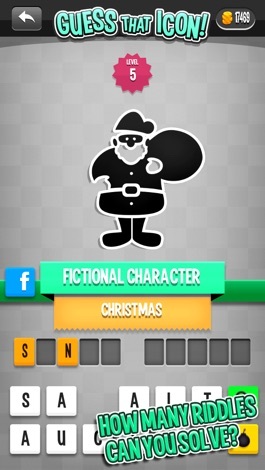 Prove it with Guess That Icon! Guess That Icon is free to play. The layout of this app is basic. Players are presented with an icon and one word as clues. Simply click on the twelve provided letters to spell your guess for the one word answer. If you need more help, you can purchase another clue with hint coins. You won’t be able to put Guess That Icon down! It tests your cleverness and your pop culture knowledge, and each question gets progressively harder. How many can you solve? Guess That Icon has several different categories. See if you don’t get tripped up with everyday vocabulary in the Easy version. Knock your socks off with the Hard version. And test your pop culture knowledge with the Arcade category! 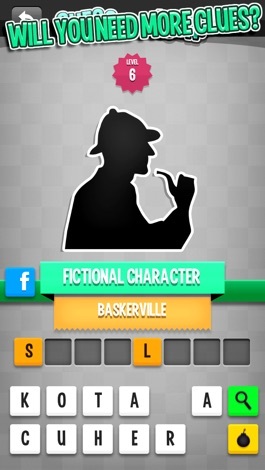 Can you guess what movie, tv-series or fictional character we are looking for? Granny is back at it again! This time a thief has stolen her purse. Hunt him down and get your stuff back! Don't let those thugs stop you! Run, jump, flip and smash your way for fun! Can you catch him? * Fun 3D graphics! * Pickups, powerups, cars, joggers and more! Race your friends top score today! BroadSoft Recorder allows you to record BroadWorks audio greetings. The recordings can be retrieved by sending them to an email addressing. The audio recording format is g.711 mlaw, single channel, 8000Hz sample rate with 16 bits per sample. This is a very nice designed and challenging game. Be able to explore your running strength! this game will keep you immersed and busy for hours. ================= Many delicate levels,Simple and convenient gameplay Full HD support on Iphone & IPad. 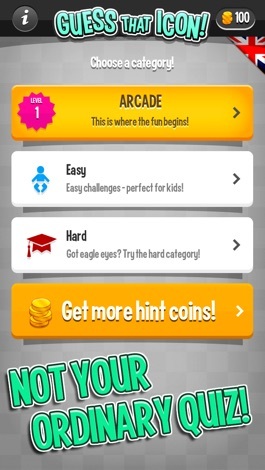 Submit your best score to game center & other players online. Download Guess That Icon: one symbol, one word, one answer!